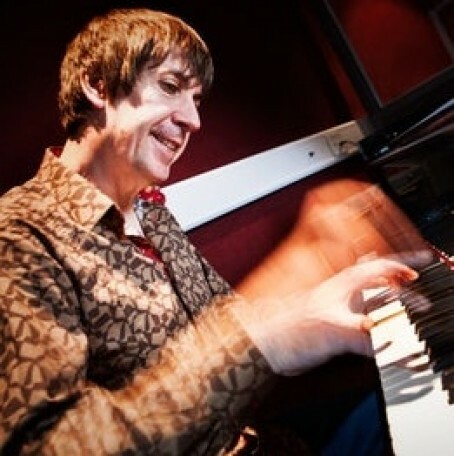 Neil Angilley is a stunning pianist, equally at home playing Jazz, Latin or Classical. He has worked with violin virtuoso Vanessa Mae, alto saxophonist Maceo Parker and was keyboardist and arranger for Jazz chart topping band ‘Down to the Bone’. He includes work with the likes of Shirley Bassey, Michael Ball and ‘War of The Worlds’ on a glittering CV that encompasses concerts, clubs and studio work. A great Latin/Brazilian player his remarkable playing is enormously respected throughout the music scene. Tonight, Neil brings his Trio features Davide Giovannini on drums/vocals and Davide Mantovani on bass for their debut at the club together with special guest local Acid Jazz percussionist Snowboy for a superb evening of Jazz funk with a real Latin vibe.